The Brick Castle: Dr Beckmann's Royal Carpet Art Revealed! We all know Dr Beckmann make fantastic cleaning products and they've saved me from many near-disasters over the years! 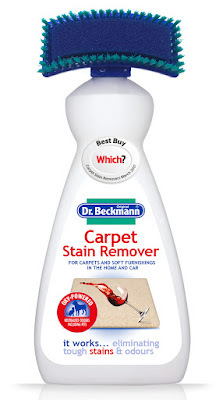 The Dr Beckmann Carpet Stain Remover has won Which? Magazine Best Buy for 4 years running and is brilliant at removing all kinds of stains including food, dirt, crayons and make up, yet so simple and easy to use that you don't need to get changed or break into a sweat. Usually you want to get the entire surface clean, but Dr Beckmann Carpet Stain Remover is almost 100% spillproof and has a unique curved brush applicator, so it's possible to direct it precisely where you want it. 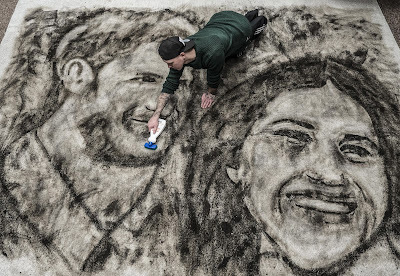 This has allowed Britain’s Got Talent contestant Nathan Wyburn to create a unique piece of Carpet Art. 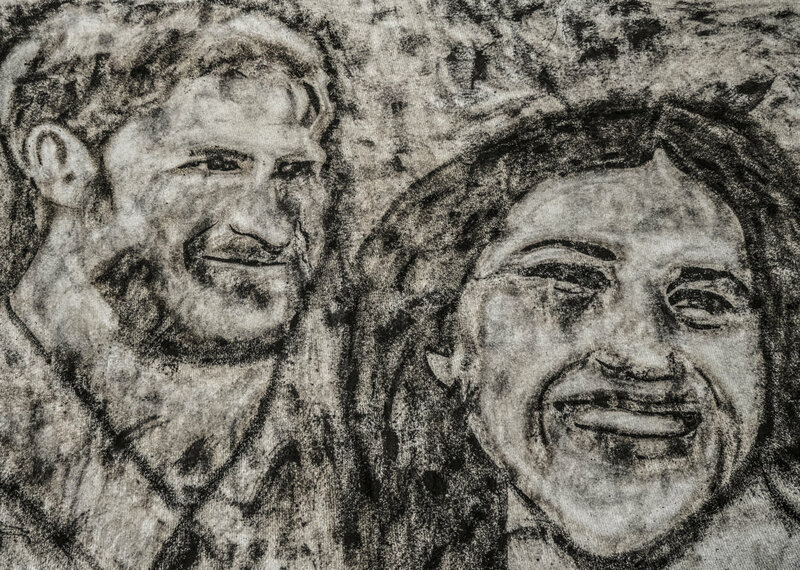 Pop culture portrait artist Nathan specialises in creating art using unusual materials and was commissioned by Dr Beckmann to create a unique portrait of Prince Harry and Meghan Markle in celebration of their engagement and upcoming marriage. The carpet art was created by covering the entire surface of the carpet with some the most popular culprits responsible for household carpet stains - mud, coffee and wine - and removing the stains to reveal the image. I'd be very flattered if someone made such a unique and creative statement with my portrait and I think he's captured Meghan's smile beautifully. He's also got that cheeky look to Prince Harry, which will no doubt go down very well with a large section of his fans. Dr Beckmann Carpet Stain Remover is available now from stockists all over the UK online and in store, including all major supermarkets and Wilkos. A mere £3.59 for a 650ml bottle with the curved brush applicator included. Keep it in the cupboard under the sink for emergencies. You can find out more about the entire stain removing range on the Dr Beckmann website. I was paid for the time taken to write this post, however I have used Dr Beckmann Carpet Stain Remover for the last 25 or more years. I've never made carpet art though, but my kids have tried several times. It wasn't good.